Get free advice and estimates from garage door contractors in your city. 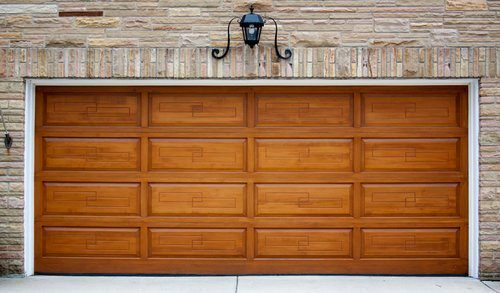 Garage doors have a significant impact on the appearance of your home. Taking up a large portion of your front façade, you want to have doors that not only keep your house secure but also enhance the curb appeal. Two popular options are fiberglass 1 and wood garage doors, but which to choose? In the sections below, we explain the differences so that you can make an informed decision for your home. Wood has been prized for centuries as a beautiful and elegant material that gives your home an upscale appearance. Available in a variety of species and a wide range of color options and stains, you can count on wood to be a timeless classic. Fiberglass is versatile in its appearance. A fiberglass garage door can also be made in a wide variety of colors and styles and painted to coordinate perfectly with your home’s exterior. Or, it can be ordered with a faux-wood finish that is much more realistic than a steel door. As a result, they are popular with homeowners who want the look of wood without the additional cost and upkeep. It is harder to install a wood garage door than a fiberglass one as wood doors are much heavier. Also, because of the weight, it is necessary to install an automatic door opener because these doors cannot be safely operated manually. This makes it a more complicated installation process and should only be done by a professional. A fiberglass door can be damaged by improper handling, so it is best professionally installed as well. Depending on quality, a 7 by 8-foot wood garage door can cost from $970 to $1,470. The labor cost for 5.4 hours of installation is between $340 and $410. Wood doors require specialized equipment and supplies, such as miter saws and sanders, adding another $80 to $120. The total cost ranges from $1,390 to $2,000. A 7 by 8-foot fiberglass garage door can cost from $820 to $1,200. The labor cost for 3.5 hours of installation is around $150. Extra supplies and tools may cost an additional $130. The total cost ranges from $1,100 to $1,480. Depending on the location and climate, wood and fiberglass garage doors have advantages and disadvantages. Wood doors can warp or rot and suffer from termite damage. In a cold climate, fiberglass doors can become brittle and break. They can also be damaged in high winds because they are lightweight. However, fiberglass doors are impervious to corrosion from salt, making them a better choice in coastal climates. And, they will not rot or warp when exposed to moisture. A wood garage door requires regular maintenance. It must be refinished every few years and may need additional repairs if there is wood rot or termite damage. Because wood can be sanded and patched, a wood door can be repaired and refinished when it becomes dented, potentially giving it a longer life. On the other hand, fiberglass garage doors require little to no maintenance. It does not need to be painted. Fiberglass, however, can be dented or become cracked, and there is no repairing that. To maintain appearance and security, you must replace the entire door. The weight and strength of a wood garage door make it more secure against intruders than a lightweight fiberglass door. Some fiberglass doors are bonded to steel cores and can provide better security than a wood door. A wood garage door can be environmentally sustainable if it comes from a forest managed for sustainability or if it is made of wood composite with a hardwood veneer 2. The process of manufacturing wood composites uses wood waste products that would otherwise be discarded. 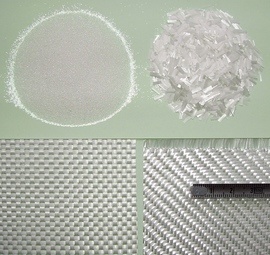 On the other hand, the production of fiberglass consumes a relatively low amount of energy. Unfortunately, there are few options available for recycling a fiberglass door when it needs to be replaced. This makes wood doors a better choice for the environment. Whether you opt for wood or fiberglass, expect to recoup up to 87% of the value of a good-quality garage door when you sell your home. How much does it cost to install a wood or a steel garage door in my city? Cost to install a wood or a steel garage door varies greatly by region (and even by zip code). To get free estimates from local contractors, please indicate yours.